Former Department of Public Works and Highways Regional Director for Bicol Danilo Manalang was shot dead in Macabebe, Pampanga noontime today. Manalang is the incumbent barangay chairman of San Jose of said town. In an interview with police authorities, it was revealed that Manalang, together with a friend, was going to buy food at a canteen in Sto. Rosario, Poblacion when he was shot by the gunman. The suspect, together with another unidentified person, boarded a motorcycle which they later used as getaway vehicle. Manalang was rushed to the Holy Rosary Hospital but was pronounced dead on arrival. He sustained three gunshot wounds from a caliber .45 pistol. As of presstime, authorities could not yet establish the motive behind the crime. Chief Supt. Raul Petrasanta, Central Luzon Police Regional Director however told media that they are not ruling out political motives behind the slay of Manalang. 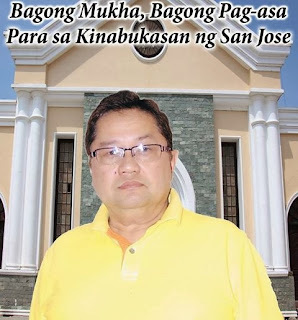 He said that the slain Barangay Chief's political rival during the last barangay polls filed a protest when the same lost only by 6 votes during the said election. Meanwhile, members of the Manalang family, who are residing in the City of Naga, are in deep grief due to his untimely death. Manalang, who is an architect by profession, built notable landmarks in Naga City like the former Casa Catalina Hotel, now renamed Villa Caceres Hotel.